On Dec. 2, I wrote in Asia Times that Commentary’s Rothman probably was stooging for a CIA disinformation campaign against Flynn. Not only did Flynn propose to deep-six Gulen, a longstanding friend of the CIA, but he had blown the whistle on CIA incompetence in Syria. 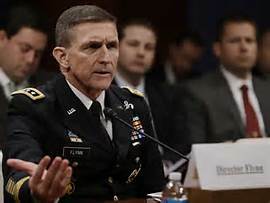 Flynn’s Defense Intelligence Agency produced a now-notorious 2012 report warning that chaos in Syria’s civil war enabled the rise of a new Caliphate movement, namely ISIS. For full background, see Brad Hoff’s July 2016 essay in Foreign Policy Journal: Flynn humiliated the bungling CIA and exposed the incompetence and deception of the Obama administration, and got fired for it. If anyone doubts the depth of CIA incompetence in Syria, I recommend an account that appeared this month in the London Financial Times. In November, Flynn warned that the U.S. stood to lose its Turkish ally, to the benefit of Russia–and got attacked as a Turkish agent. That doesn’t square with the current round of disinformation, which paints Flynn as pro-Russian. Flynn’s detractors rely on a fake-news media which forgets the story it spun a couple of months ago when it contradicts the story it is spinning today. I don’t know why Flynn talked to the Russian ambassador about the incoming Trump administration’s prospective policy on sanctions, or what transpired in the White House regarding mis-statements that Flynn may or may not have made about such discussions. Senior officials speak to their counterparts in other countries all the time, and for obvious reasons do not want these conversations to become public. The intelligence community, though, was taping Flynn’s discussions, and the transcripts (of whose existence we are told but whose contents we have not seen) were used to embarrass him. A couple of observations are in order. First, the allegation of various Democrats that Flynn violated the 1799 Logan Act is silly. No-one ever has been prosecuted under the Logan Act. It forbids U.S. citizens from communicating with foreign governments “with intent to influence the measures or conduct of any foreign government or of any officer or agent thereof, in relation to any disputes or controversies with the United States, or to defeat the measures of the United States.” Flynn reportedly was talking about prospective policies of an administration that would take office in a matter of days; it is absurd to construe such discussions, whatever they may have contained, as an intent to undermine disputes with the United States. Second, two narratives are running simultaneously in the media which appear to support each other, but actually consist of entirely independent bubbles of hot air. One is that Flynn misspoke about his contacts with the Russian ambassador, an allegation I cannot evaluate but find neither important nor interesting. The second is that the “Intelligence Community pushes back against a White House it considers leaky, untruthful and penetrated by the Kremlin,” as retired intelligence officer John Schindler alleged today in The Observer. Not a single fact is presented in Schindler’s account nor in several similar accounts circulating in the media. What leaks? Penetrated by whom? Sen. Joseph McCarthy could do better than that. Third, the CIA has gone out of its way to sandbag Flynn at the National Security Council. 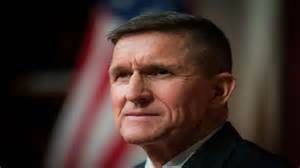 As Politico reports: “On Friday, one of Flynn’s closest deputies on the NSC, senior director for Africa Robin Townley, was informed that the Central Intelligence Agency had rejected his request for an elite security clearance required for service on the NSC, according to two people with direct knowledge of the situation.” Townley held precisely the same security clearance at the Department of Defense for seventeen years, yet he was blackballed without explanation. At DoD, Townley had a stellar reputation as a Middle East and Africa expert, and the denial of his clearance is hard to explain except as bureaucratic backstabbing. Fourth, Gen. Flynn is the hardest of hardliners with respect to Russia within the Trump camp. 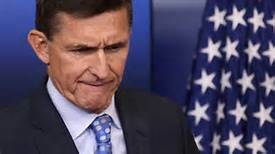 In his 2016 book Field of Fight (co-authored with PJ Media’s Michael Ledeen), Flynn warned of “an international alliance of evil movements and countries that is working to destroy us….The war is on. We face a working coalition that extends from North Korea and China to Russia, Iran, Syria, Syria, Cuba, Bolivia, Venezuela and Nicaragua.” The unsubstantiated allegation that he presides over a “leaky” National Security Council tilting towards Russia makes no sense. The only leaks of which we know are politically motivated reports coming from the intelligence community designed to disrupt the normal workings of a democratic government–something that raises grave constitutional issues. 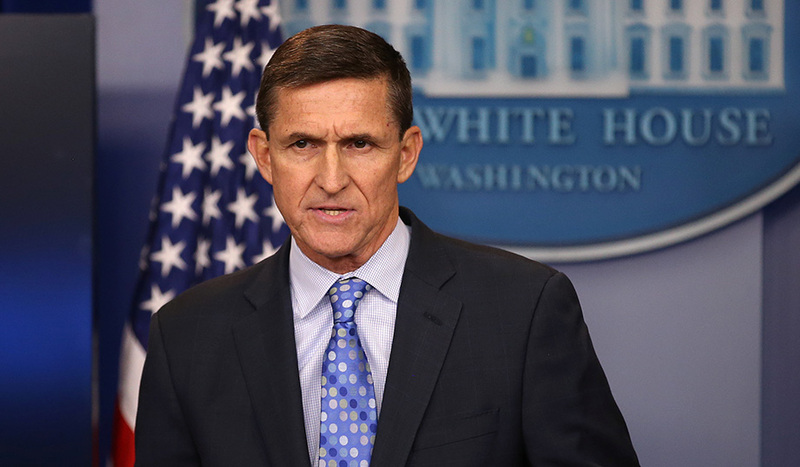 Flynn is the one senior U.S. intelligence officer with the guts to blow the whistle on a series of catastrophic intelligence and operational failures. The available facts point to the conclusion that elements of the humiliated (and perhaps soon-to-be-unemployed) intelligence community is trying to exact vengeance against a principled and patriotic officer. When the Turkish smear against Flynn came out in November, I smelled a rat. The present affair stinks like a dumpster full of dead rats.